The 12th century crypt of Treviso Cathedral is adorned with fragments of many mosaics and murals. 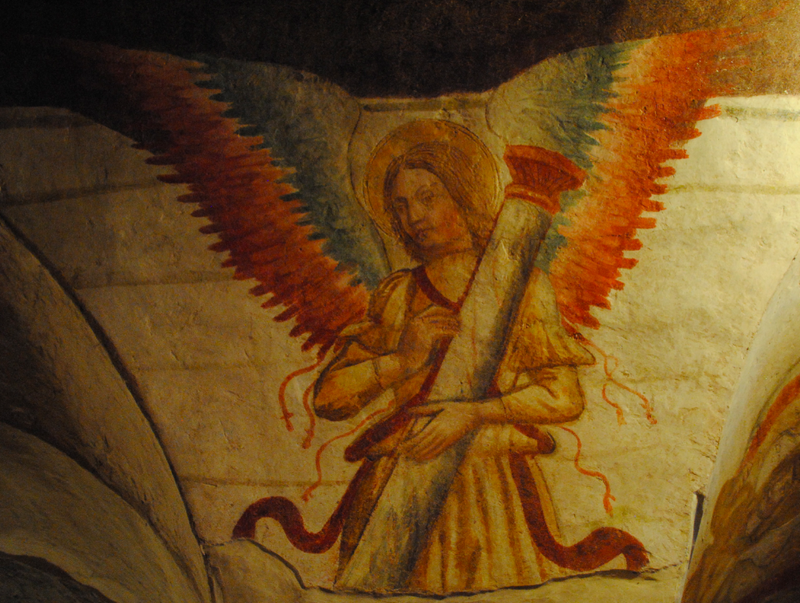 Many of the intact frescoes depict winged angels and are still richly vivid in colour and detail. 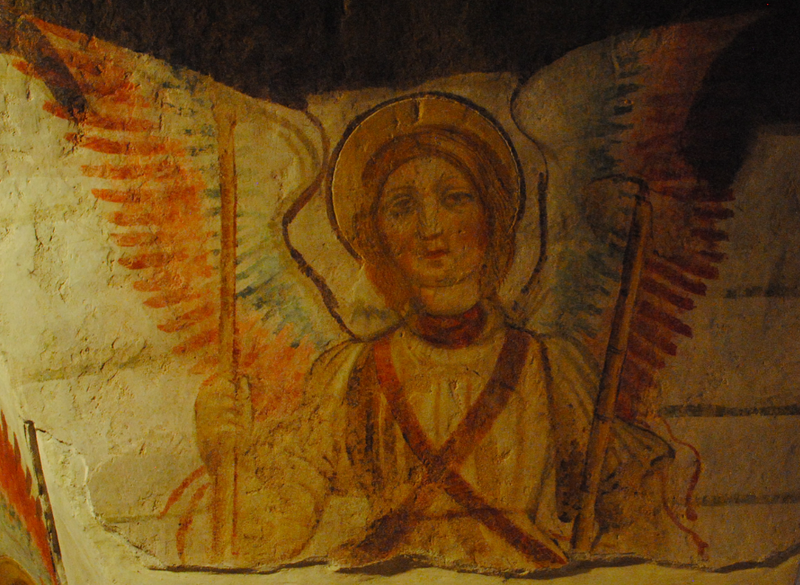 Some of the frescoes have only fragmentary pieces remaining providing subtle traces of the Byzantine influence. 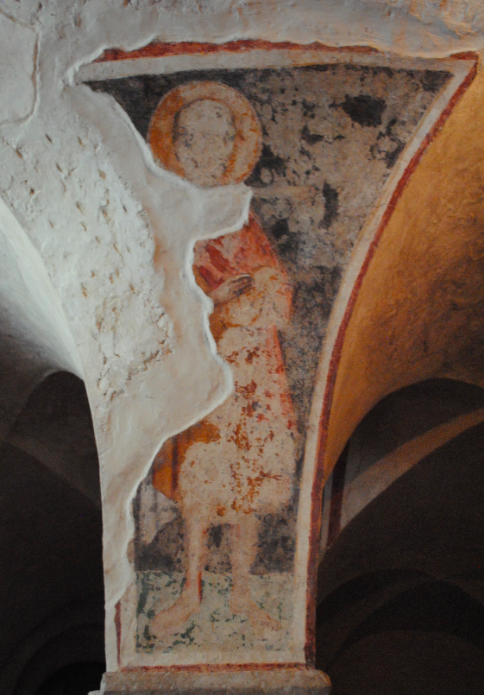 The frescoes date between the 12th-14th centuries.